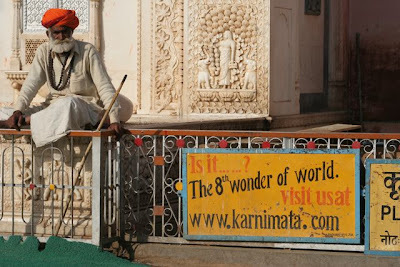 At the Karnimata Temple, Deshnoke in the Bikaner District of Rajasthan. March 2008. ...can only be followed by a good nap. Hello, if you wish to increase the amount of visits to this blog or other personal Web, I recommend you to register in an extraordinary program to generate thousands of monthly visits and make much money through the system of publicity Adsense of Google. Send me a message to griceliomartin@gmail.com and I will send to you all the information about this real and great offer. When registering, I will give you a complete course from Professional WebMaster. Everything absolutely for free. I've heard of this temple. After looking at the pictures, I know I would love to see it sometime! 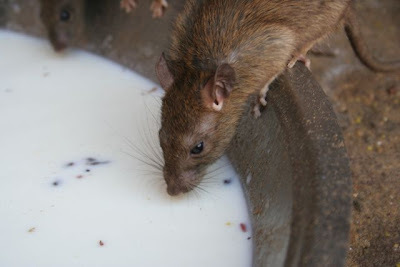 Loved all the pictures, particularly the one of all the rats bending over the periphery of the vessel, sipping milk! Hello! 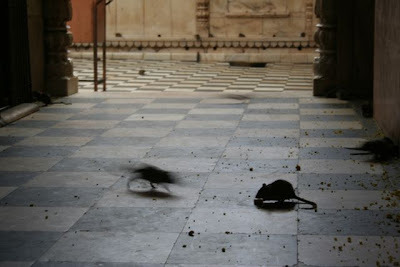 I love rats very much,and I am very happy because rats are secred in Karnimata temple. 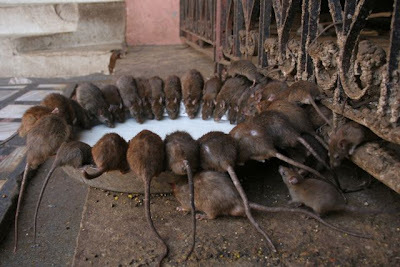 I want to visit this lovely rat temple. 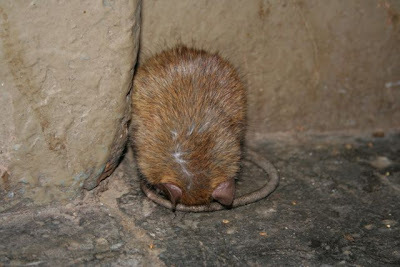 It is a home for homeless rats. 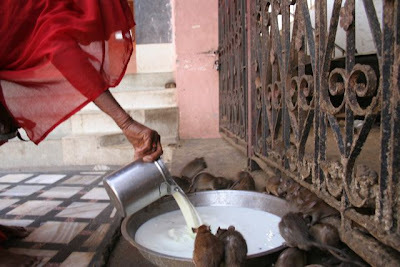 They need a home all round the world,and rats need more temple for rats. I love them!! !